Follow the directions to program the Arduino Uno Microcontroller to flash one LED light on and off. Have your Arduino out and ready with the USB cord. Connect the USB cord to your laptop. Please remember the terms like; pin, led pin, High, Low, digital write and delay. 2. Open the Arduino IDE (Integrated Development Environment) software and copy the code from slide 2. 3. Be sure to check your code for mistakes. You can also run a debug check by clicking on the checkmark symbol. 4. 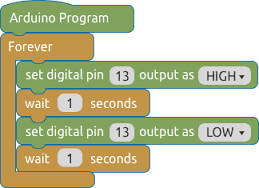 If you do not get any orange error messages, then it will be ok to upload the code to your Arduino. 5. First make sure that you go to tools menu and select Board and then Arduino Uno. 6. Plug in the USB cord to both the Arduino Uno and your computer. 7. Next in tools, go to port and select the choice that contains USB. 8. Finally, click on the Arrow button. It should upload and you should see the LED blinking. For beginners who may be familiar with Scratch or Tickle App. Try mBlock. Resistors act to reduce current flow, and, at the same time, act to lower voltage levels within circuits. Resistors are used to reduce the flow of current or electrons to an electrical component in order to reduce the chance of that component burning out due to excessive current/voltage. 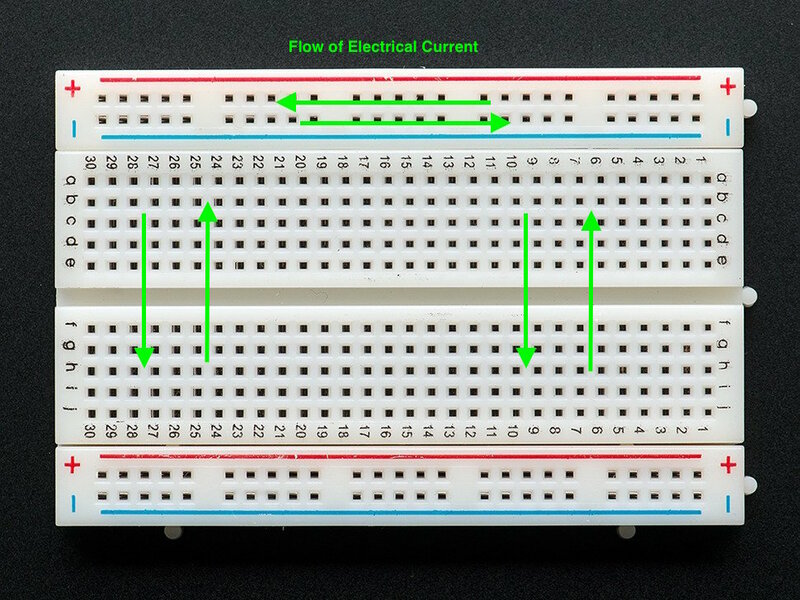 A breadboard is a construction base for prototyping of electronics. Because the solderless breadboard does not require soldering, it is reusable. This makes it easy to use for creating temporary prototypes and experimenting with circuit design. Here is a different setup. An LED usually uses 2-3 volts. When connecting an LED directly to the pin without a resistor it receives a full 5 volts. This can lead to the LED eventually burning out. So we use a resistor to reduce the power going to the LED. 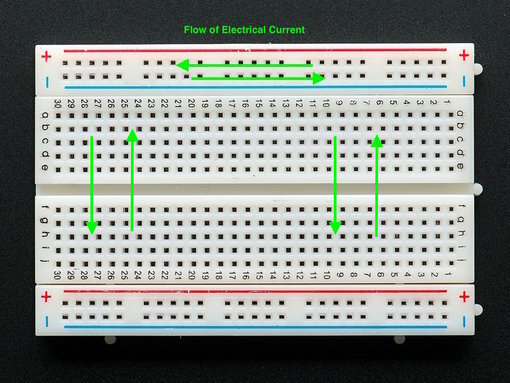 This activity will also get you started using the breadboard, jumper wires and resistors. 1. Wire up the Arduino according to the diagram (sometimes called Fritzing schematic). 2. Look at the project code on slide 2 and read it carefully. Understand what pins are going to be used. It is very similar to project 1. 3. The only difference will be in the pin selected. 4. Upload the program to the Arduino board and see if it works. Stop the program when you know it worked correctly. 5. Move on to project 3. ​Follow the wiring directions below to create a Mood Detector. Then copy the code and upload to the Arduino. In this project you will learn how to attach a Potentiometer (knob) to the projects and use it to brighten or dim the LED light. Also called Fading. Build a 30 min. countdown clock within an enclosure. All components must be completely enclosed. Additional points will be given for adding LED's or unique LED arrangement as well as materials used for enclosure. Build a signaling device using two or more colored LED's with the skills learned in these lessons. Device must be in an enclosure. Specify purpose/use for signaling device. Measured drawing or schematic drawn with Autodesk 123D or Sketchup required project. If it takes 30 seconds to microwave an egg, how many microseconds would that be? Electromagnetism: conductors, insulators, polarity, Ohm's law.